With just three days to prevent the assassination of the President, Army lawyer Sean Drummond races the clock in the high-stakes countdown of his career. Army lawyer Sean Drummond*new posting is to the Office of Special Projects, a CIA cell that handles the most dangerous threats. When the White House Chief of Staff is found brutally murdered, there*s a note beside him promising more victims--including the President. Sean leaps into action, teaming up with a beautiful colleague to try to stop the assassin. 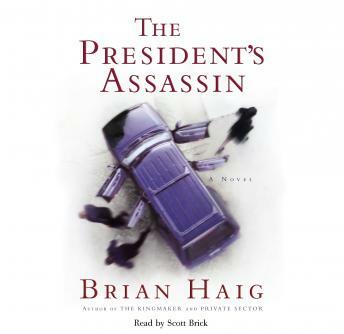 As the killer stalks the campaign trail, apparently driven by a$500 million bounty on the President*s head, all arrows point to a member of the White House security detail who*s gone missing. Only after a dramatic hostage rescue that culminates in an intense shootout does Sean realize law enforcement*s horrible miscalculation--and what must be done to set things right.